A-Rod is now a Yankee, "The Rocket" is with the Astros, Schillings in Bean Town and Vlads in Anaheim. With some of the games brightest stars making a new home and baseballs future talent starting to make some noise it can only mean one thing - time for MLB SportsClix Extra Bases! Topps is pleased to announce plans for MLB SportsClix Extra Bases, the first expansion for the popular MLB SportsClix. Now fans, collectors and gamers have the opportunity to build their favorite team, collect big leaguers in their new uniforms and add key players and rookies to round out a championship-caliber team. In all, there are 104 new players to collect and play. It's just what every SportsClix manager needs -- extra players and more team-building options. 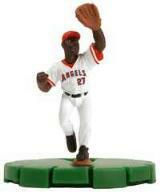 An MLB Sportsclix Extra Bases Booster Pack will contain three randomly selected figures and carries a suggested retail price of $6.99. Booster Packs will be available at hobby and gaming stores everywhere in September 2004. The game is fully supported with organized play at conventions and in-store tournaments. 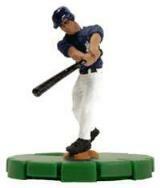 Call 1-888-GO-TOPPS to find SportsClix figures and tournaments nearest you or log onto www.wizkidsgames.com.